The Wait is Over... We Are Now Open! We are currently open 7 Days a week from 11 AM- 10PM. 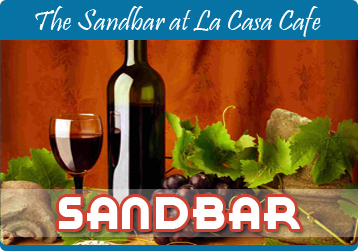 Located on the north shore of Long Island, La Casa Café was established in 1993 and is one of the very few restaurants located directly on the beach. Magnificent views of the Long Island Sound and the most beautiful sunsets right at Crab Meadow Beach in Northport New York. The restaurant is newly renovated; now featuring an extended bar area surrounded by five flat screen TV's. Our menu offers entrees and light fare for any meal and any age. Our restaurant holds up to 100 people for private parties: weddings, christenings, showers, holiday parties and family gatherings. Most of all, we will be open year round! Our menu offers entrees and light fare for any meal and any age. 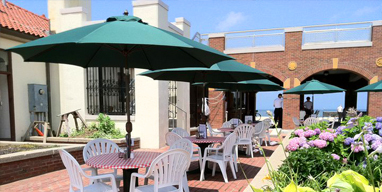 Our restaurant holds up to 100 people for private parties. weddings, christenings, showers, holiday parties and family gatherings. Most of all, we will be open year round!